Our Pacific Northwest Pollinator Blend has been designed to provide optimum pollinator habitat throughout the moist, temperate climate of western Washington, western Oregon and northwestern California. 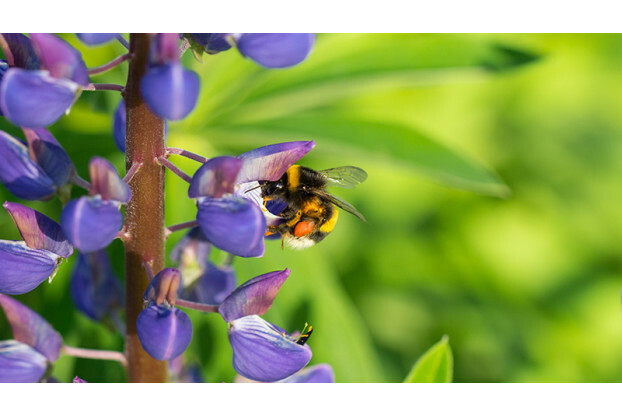 It contains some of the most valuable plants for bees, butterflies, birds, moths and other animal pollinators, and will provide an excellent nectar and pollen source during each season of the year. This blend contains both perennial and self-seeding annual species for multi-year productivity. A special emphasis has been placed on providing habitat for the struggling monarch butterfly – a majestic insect that relies solely on milkweed as a food source. In an effort to help our customers visualize the finished product, note that the percentages listed above are what you can expect the stand to contain once established. For the contents of this seed blend by weight, please contact us to request a digital copy of the seed tag.